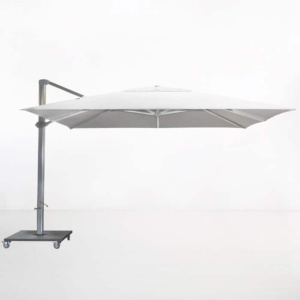 Follow the sun with this 4 metre square cantilever umbrella. 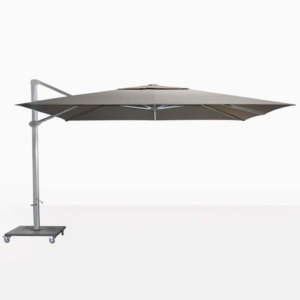 It is manufactured in aluminium frame, stainless steel fittings and Sunbrella® canopy. 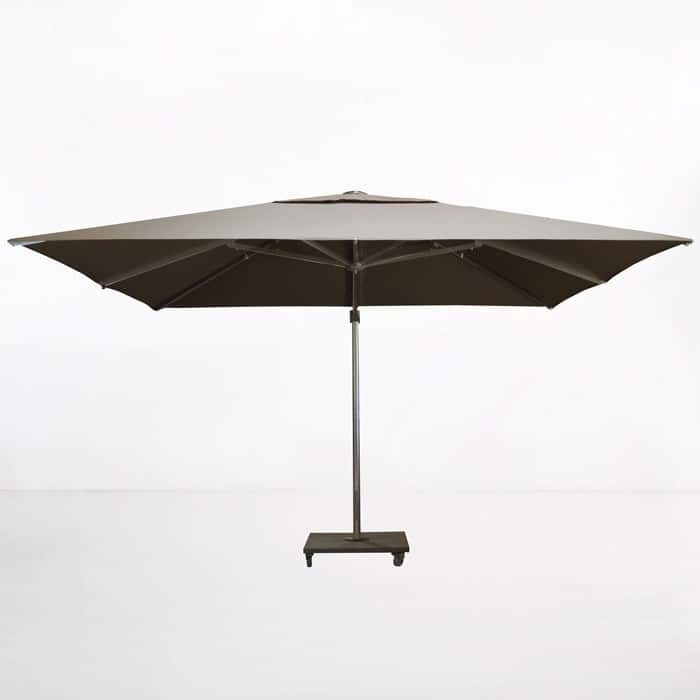 This offset umbrella has a 360 degree rotational movement in the horizontal position. 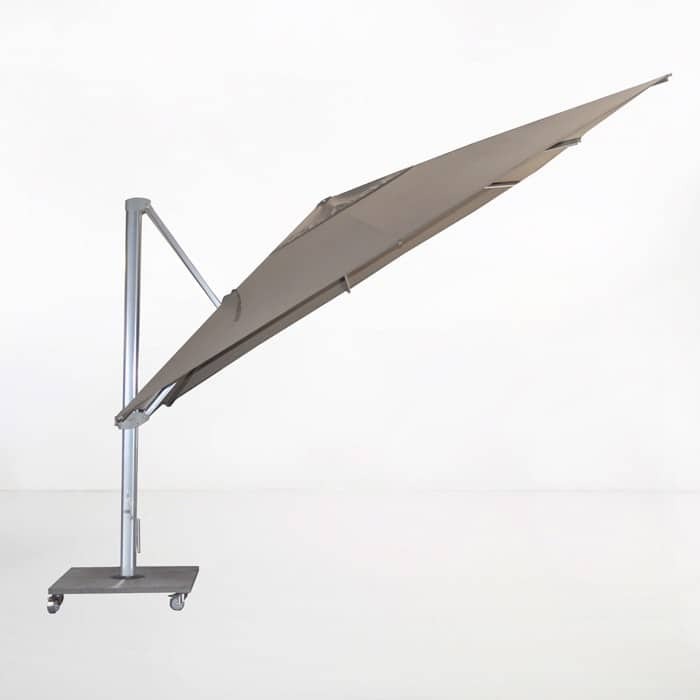 The canopy has a tilting mechanism for shade at different angles and heights. Available in Grey, Black and White and Taupe (as shown). 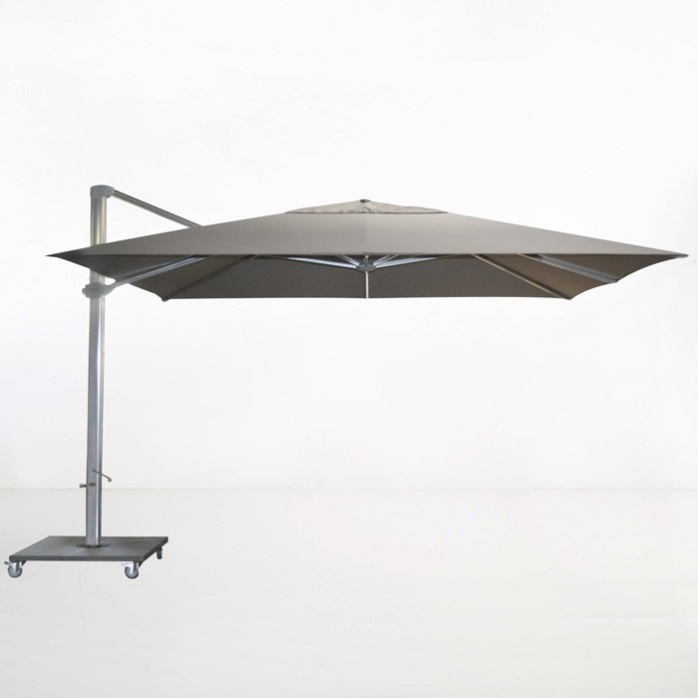 Included is an umbrella cover for those days when the sun is hiding for winter. The stand for this item, as shown, is included in the price. 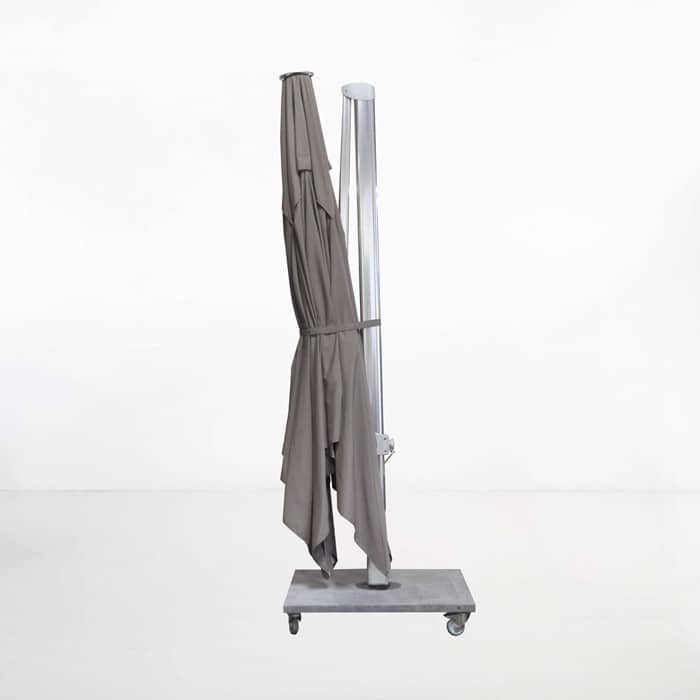 The 181 kg granite stand can be moved easily with wheels and brakes for safety. 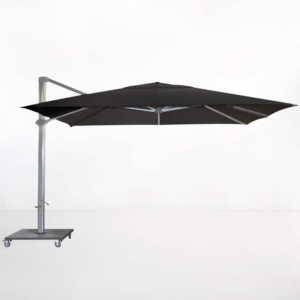 The overall height of the Kingston Cantilever Umbrella from ground to the top of the canopy is 297cm, this includes the height of the base. Canopy 4m sq, Height 2.97m, Mast 7cm x 12cm diam.